Welcome to Mouth Watering Mondays. Each Monday I dig through the archives to find for you a popular post from a year or so ago. One that has been a favorite of ours and yours!! This Monday we have for you MWM Egg, Ham and Cheese Crepes. Do you think crepes are difficult? 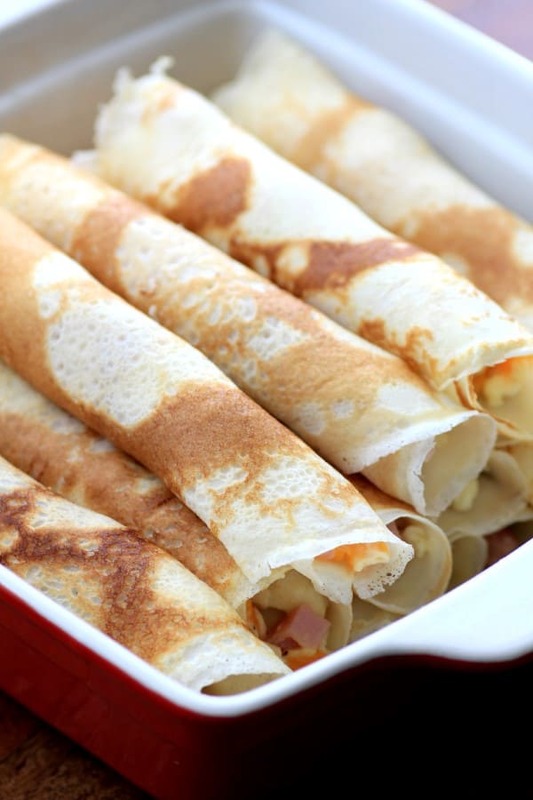 I think they are even easier than pancakes, you only have to cook one side for this recipe and for others like Crepes Lorraine. Both are easily made ahead and can be rewarmed in the oven. Both are delicious and tried and true recipes. Get yourself a crepe pan or a small saute pan would also do. I have the basic recipe for you so you can also create lots of other fillings. I have loved crepes forever. One of my favorites is taking them to the savory side. 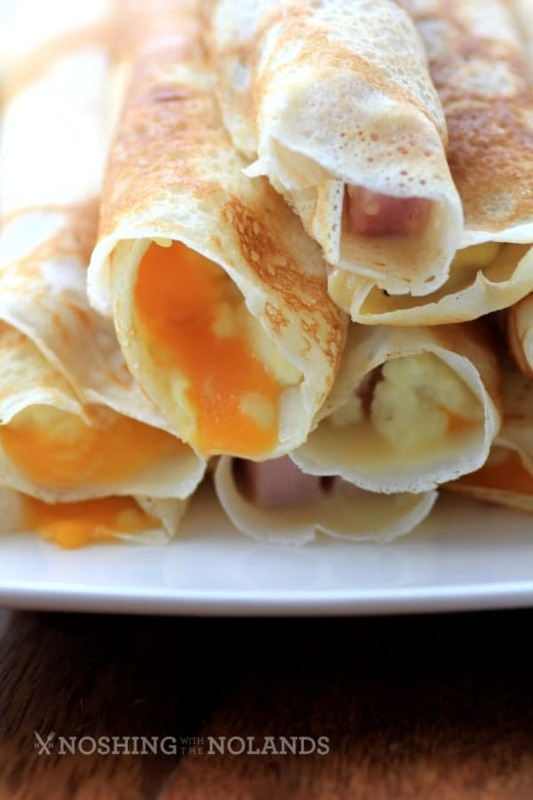 Come and delve into these Egg, Ham and Cheese Stuffed Crepes again with me!! Light crispy crepes wrapped around tender cheesy eggs with the addition of tiny cubes of ham. This is a winner of recipe for any occassion but mom would sure love it on her big day of Mother’s Day. Kids will also love this recipe and will love to share them with mom or grandma! Here is a little peak inside the crepes, for the full original post and recipe come on over HERE! We frequently eat crepes at home, savory and sweet. Gosh I could have one or two of your gorgeous looking crepes right now. Thank you Helene, they are one of my favorites too!